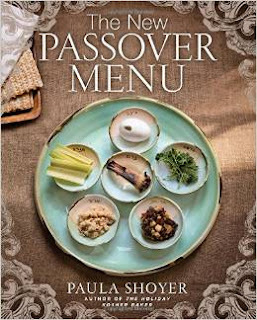 Paula Shoyer is the author most recently of The New Passover Menu. 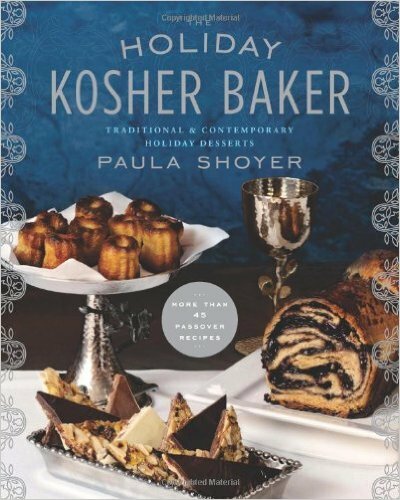 She also has written The Holiday Kosher Baker and The Kosher Baker. A former practicing attorney, she is based in the Washington, D.C., area. Q: You write, "Jews who host the holiday often feel that preparing the house and food for Passover makes them feel a little too much like the Israelite slaves. The New Passover Menu has arrived in order to set you free." What are some of the ways you try to accomplish that in the book? A: I made sure the recipes were easy and didn't require special equipment to prepare them. I also indicate the prep and cook time so people can plan and find recipes that fit into their schedule. Q: What are some of the biggest perceptions and misperceptions about Passover food? A: That everything is dry and made with matzoh meal. 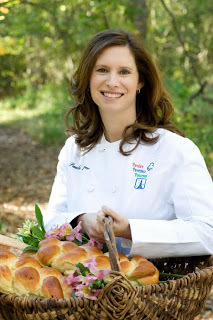 For Passover cooking I focus on the world of ingredients you can use and not on the ones we are prohibited to eat. There are so many options. It's really the same food you make all year, just omit those made with ingredients you cannot use such as flour, rice, etc. Q: What are some of your favorite and least favorite Passover foods? A: I love matzoh balls, but in New Passover Menu I gave them a facelift with some new flavors. Least favorite are matzoh pies - where people layer matzoh with meat or vegetables and the result is bad taste and texture. And don't get me started on those candied fruit wedges that they sell for Passover. In the book I love the linzer tart, the gluten-free granola and the gingered red pepper and tomato soup. Q: What are some of your own Passover traditions? A: All week long we eat lots of fresh vegetables prepared different ways and I kosher the outdoor grill so we can grill chicken and meat. For the seder I give everyone their own mini seder plate with little bowls of the seder plate components. A: A Shabbat menu book. 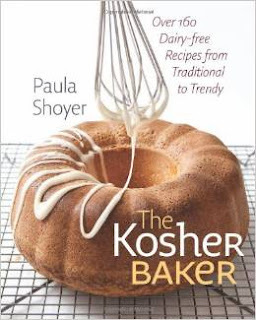 A: Homemade is always better, especially on Passover when packaged baked goods are particularly bad. --Interview with Deborah Kalb. For a previous Q&A with Paula Shoyer, please click here. She will be participating in the Local Author Fair at the Washington DCJCC on Tuesday, Oct. 27, 2015, at 7:30pm.